The other week I had to into London to deliver something. Normally when I travel into London I have so many things to cram in, I return a limping wreck, but this time I couldn’t think of anything I really wanted to do. So, rather than just turn around and come home again after I had safely handed over my item, I decided to take the bus right across London, north to south, with an antique centre in Clapham as the slightly spurious reason for the journey. By being only slightly pushy I managed to get a seat at the front of the top deck of the bus and I really enjoyed the long, halting trip down through Victoria and Battersea. 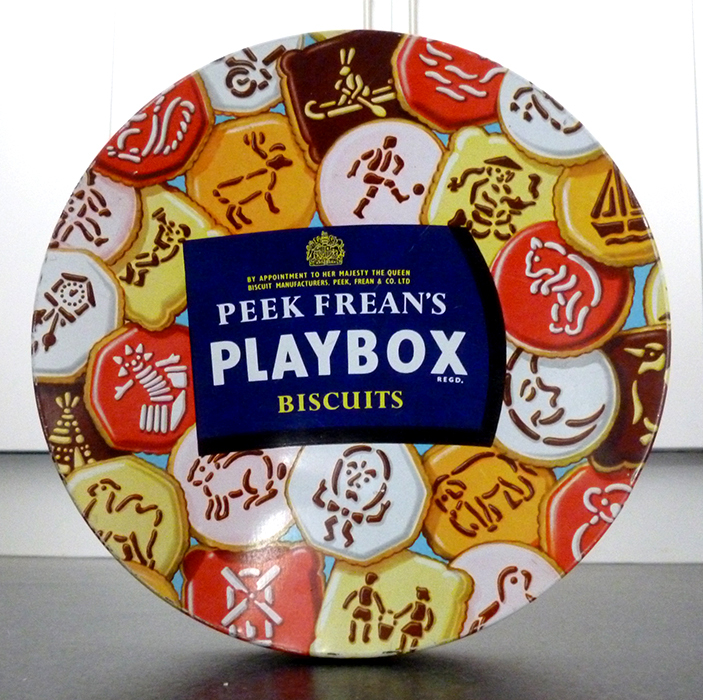 It wasn’t very photogenic and the antique centre was a bit upmarket for me when I got there, but I did spot something that touched off a Proustian memory of childhood: a Peek Frean’s Playbox biscuit tin. At first I couldn’t work out why the little images were so familiar, but after a few seconds my memory honed in on the little sugar biscuits with icing images on them. These were a rare treat when I was little — the biscuits weren’t that nice in themselves but the pictures lifted them way above normality. I still feel they’re kind of post-modern. I bought the tin and then I couldn’t resist buying another one on eBay. I’d love to build up a collection of every different one. 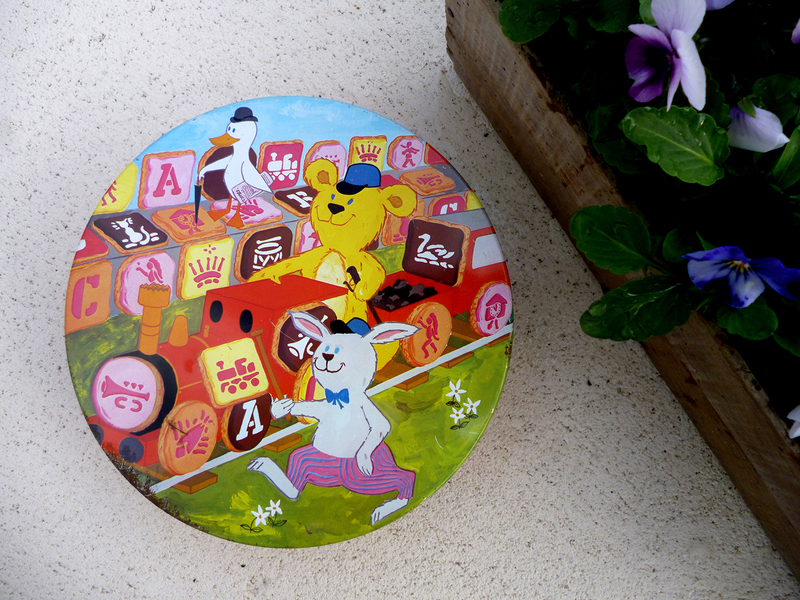 This entry was posted in Collecting, Ephemera, homeware and tagged biscuits, nostalgia, PeekFrean, Playbox, tins. Bookmark the permalink. ← ‘Kipple’ … or treasure?